Keep up to date on the latest accounting rules and know which rules apply to your company. Are you publicly traded or privately held? Cash or accrual basis? Know when to call in help, if the company has auditors, seek assistance if needed. Management of an accounting staff is an important skill for a controller. Knowing the most efficient way to structure an accounting department and the skills that you can expect from various levels of staff will allow you to accomplish the work load cost effectively. It is an extremely important area to keep the company out of legal trouble. Know when to seek outside assistance. There are consultants whose practices are specifically to provide guidance for smaller companies. Knowledge of health, workers compensation and liability insurance is helpful. The controller is often responsible for shopping for policies that best fit the needs and budget of both the company and the employees. There is a trade off between premium and coverage and the controller needs to be able to make the appropriate evaluations. Be aware that unrecorded tax liabilities can put a company out of business or endanger the value of a company in a sale transaction. Managing employees is also a key relationship in order to have happy, productive employees. Employee turnover is costly. Managing all these relationships is necessary to maximize your effectiveness. 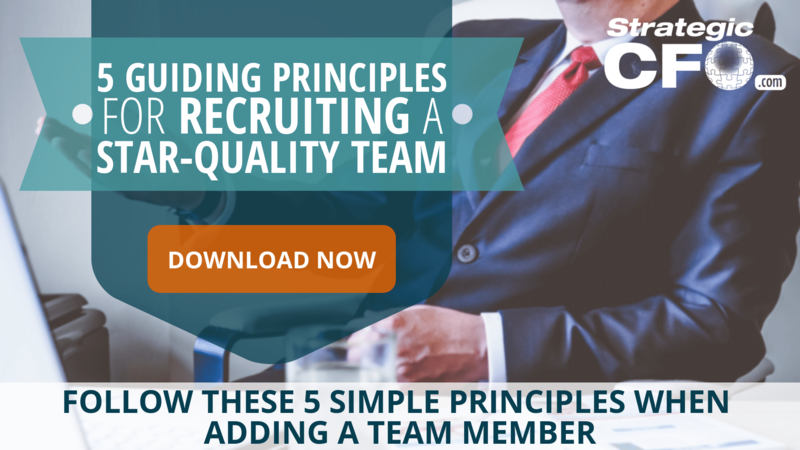 Before your hire your next Controller, download and access your free white paper, 5 Guiding Principles For Recruiting a Star-Quality Team.